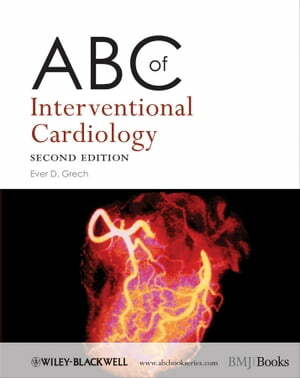 Collins Booksellers - ABC of Interventional Cardiology by Ever D. Grech, 9781118294024. Buy this book online. This fully updated, new edition of ABC of Interventional Cardiology is an easy-to-read, practical guide for the non-specialist. It presents the complex aspects of interventional cardiology in a clear and concise manner, and explains the different interventions for coronary artery disease, valvular and structural heart disease, and electrophysiology, ordered by clinical setting. The ABC of Interventional Cardiology covers the core knowledge on techniques and management, and highlights the evidence base. Illustrated in full colour throughout, with new images and graphics, it includes key evidence and guidelines, new drug treatments and devices, with recommendations for further reading and additional resources in each chapter. It is ideal for GPs, hospital doctors, medical students, catheter laboratory staff and cardiology nurses.